n behalf of the Board of Management welcome back everyone We hope you all had a good mid-term break. Welcome to Mr Seán McKiernan to St. Anne’s Loreto. We wish him well in his career ahead. Welcome back to Mrs Hughes who takes up 2nd Class. Ms Blake-Lynch will be working in the SET team. Congratulation to Alex Connor who was the overall winner of the Live Crib competition at Christmas. Jim Holloway , Town Mayor, was very impressed. It’s was a busy from the 1st week back after the Christmas holidays with all the children from 4th to 6th Class heading off to the RDS on Thursday 10th January to see the budding scientists from around the country. A great day, albeit a long day, was had by all with lots of exciting and inspirational experiments visited throughout the day. The day was finished off by the “annual trip” over to Antonio in The Embassy Grill for a bag of chips before heading back to Navan. Thank you to all our volunteer parents – without your help this outing couldn’t go ahead. Well done to all our 6th class pupils last February 2nd when they sat their 2nd level entrance exams. We wish you all well for September 2019. Swimming lessons had to be cancelled regrettably due to the renovation of Kells swimming pool over running its time schedule. We will resume our swimming schedule during 2019/20. Meanwhile the Kells pool manager has agreed to offer a water safety training workshop as a gesture of goodwill. Please do not burden the reps with other more personal matters that are best relayed by you in person directly to the teacher. You are always welcome to make an appointment . The Parents Association annual Cake Sale was held on Friday 1st March is it raised €572.50 net. All the money raised is for the benefit of the children, supporting various activities they are involved in, e.g. swimming, music, as well as all the fun activities offered to the children including the “Decorate a Decoration” and the annual sports day. Thank you for the great number of parents who helped on the morning. There are a number of sporting activities going on at the moment, including Olympic Handball, Basketball and Mini 7’s. for boys and girls. Thank you to the coaches involved, the parents who volunteer lifts and of course the children who always strive to achieve the best score and represent St. Anne’s so well. This term Lift Off to Literacy programme has been running in Senior Infants and will include Ms Tobin’s Junior Infants next. 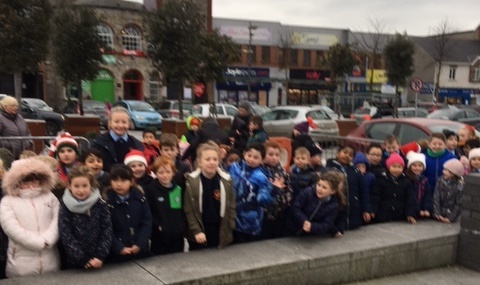 Mrs McElwaine’s Junior Infants are scheduled for the next cycle. . This involves the children being taught intense literacy skills in small groups. We are delighted to have the support of parents for this programme. Thank you to those volunteer parents who support literacy in the school we are delighted to have you help us. The Student Council meet once a fortnight in Mrs Gibbons room to discuss upcoming events or things that we feel could improve school life for the pupils in St. Anne’s. We have been busy organising book swaps and helping out with Book Week in the school. For the 6th class pupils, we are sourcing hoodies with all their classmates names on it as a keepsake for when they leave St Anne’s. Some members of our Student Council are very good at bargaining prices with local shops, A great quality to have! 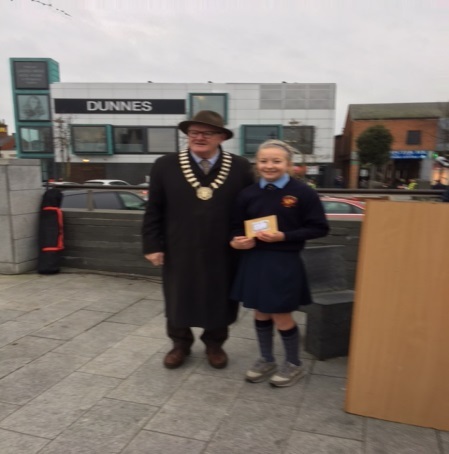 The latest project that the Council are working on is fund raising for the Irish Cancer Society. On Daffodil Day Friday 22nd of March, they are holding a Skipathon in the school. We are asking every pupil to donate €2 to this good cause. The Student Council have bought lots of new skipping ropes. So get practicing your skipping. How many times can you skip in a minute? How long can you skip without stopping? Do you have any skipping songs or rhymes? Prizes will be given to pupils who really work hard on the day. Our notice board is updated regularly with the minutes from our latest meeting. Don’t forget to put your suggestions into the box. We want to hear them. The Student Council are the voice of the students in St. Anne’s. The pupils in 5th & 6th Classes had their Relationship & Sexuality Education (RSE) programme delivered to them by ACCORD in January. Please as parents follow up on the important content of this programme with your child, preparing them for these responsibilities in adulthood. We enjoyed the Parents information evening with Mr Brennan and Mrs O’Sullivan on Wednesday 13th February. Thank you to all who supported this. Mr. Brennan explained the language being used on the course and how it can be used on a continual basis by parents at home. Some of the aspects covered by Mr. Brennan on the night included the importance of labelling and saying emotions both positive and negative and the research behind these strategies. He also explained to the parents how specific coping step plans work and gave them practical ideas to use with their children. Classes 1st – 6th should assemble in the hall, access via the red door in the church yard. Supervision is available. There is enough space in the blue yard colonnade to shelter the infants for this brief period.